Mantis Cranes is proud to be featured in the recent supplement ‘Building Britain’ in The Irish Post newspaper. 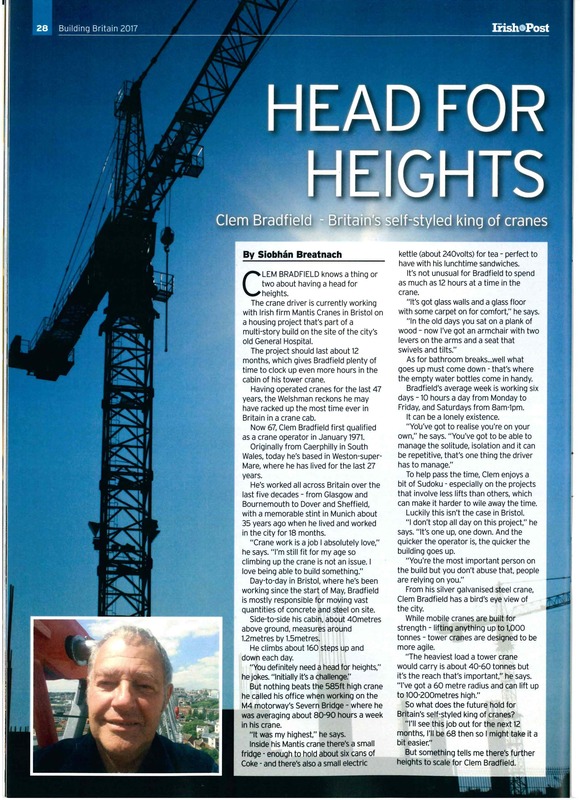 The article features an interview with Clem Bradfield, a crane driver who is currently working on a Pedestrian Operated Tower Crane on hire from Mantis Cranes. Clem has been working on the crane, a Saez TL55 , recently but that is just a small portion of the 47 years that he has spent operating cranes – possibly the most time ever spent in a crane cab in the UK.